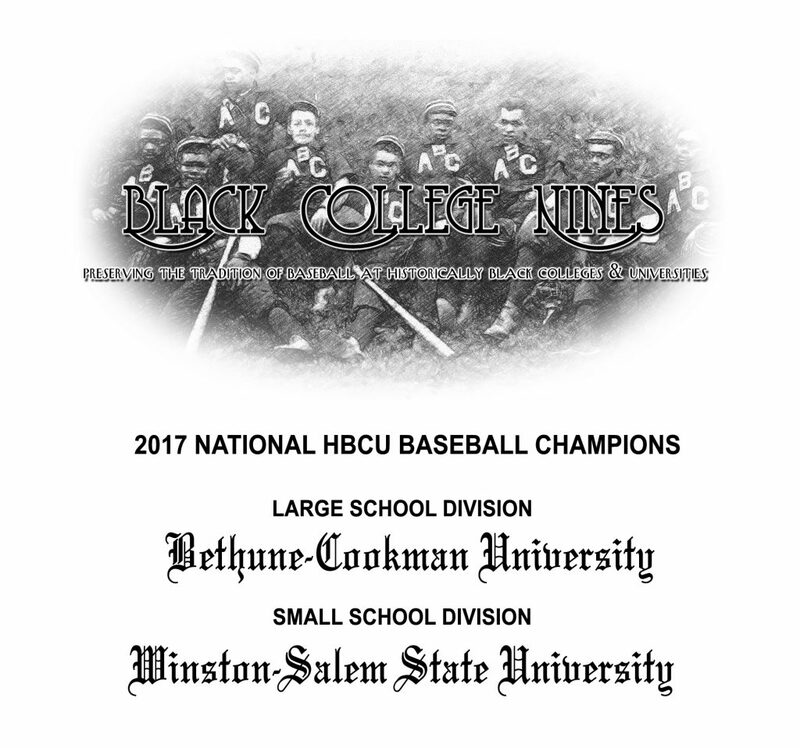 Bethune-Cookman University, in the “large school” division and Winston-Salem State University, in the “small school” division wrap up a tremendous regular season on the baseball diamond by being crowned Historically Black College and University (HBCU) National Champions by the polling committee at Black College Nines. Bethune-Cookman topped the final poll for the 2017 season and regained the national crown which it previously won in 2001, 2004, 2007 and from 2008-2010. The Wildcats, with an automatic bid to the NCAA Division I post-season regional’s, finished the regular season with an overall record of 33-23 and now awaits the NCAA regional selection pairings. Winston Salem State University, ranked 9th in the BCN week one poll of March 14, 2017, leapfrogged into the No. 1 spot during the second week of April 4th and ultimately became the unanimous small school champion. The Rams completed the season with a 39-19 record and clinched its second HBCU small school national title in three years.